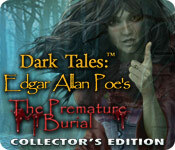 Dark Tales: Edgar Allan Poe's The Premature Burial Collector's Edition is rated 4.5 out of 5 by 48. Rated 5 out of 5 by J9CT from My 1st Dark Tales Game!!!! 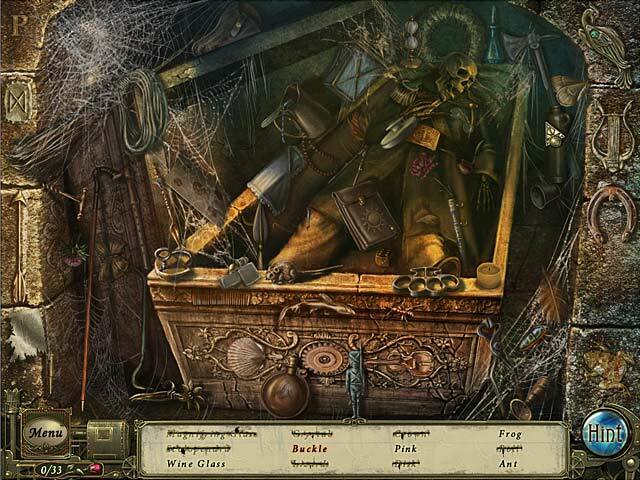 Premature Burial got me hooked on Dark Tales games, this is an excellent game. The plot reminds me of actual cases on the true crime channels with the "speedy burial" of a loved one. The old style graphics and music fits the time period perfectly. 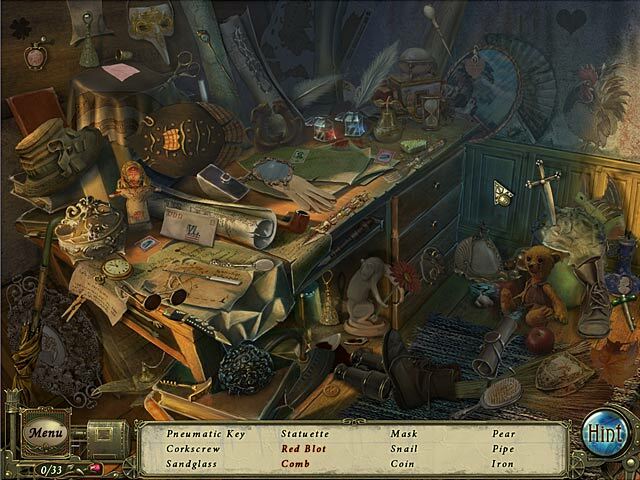 I enjoyed the HOS' and puzzles and one can actually see the mystery unfolding as you play unlike a lot of games. This is a must-have game!!! Rated 5 out of 5 by smoovasbutter from Typical solid entry from ERS I have played just about all of the games in the Dark Tales series and this game is typically solid. If you like the other games you'll like this one. Its not outstanding nor bad in any category. Graphics are hand drawn and undetailed but do the job. Music is rehashed from other games in the series and is fine. The plot is typically only very loosely adapted from Poe's story. Dupin once again plays the role of Captain obvious, saying the most pointless things. Rated 5 out of 5 by areti7 from An excellent classic game To day is 11/02/2015 and this game was made in 2011.I thought to find a good game from previous years because I can'tfind any more games that I like. 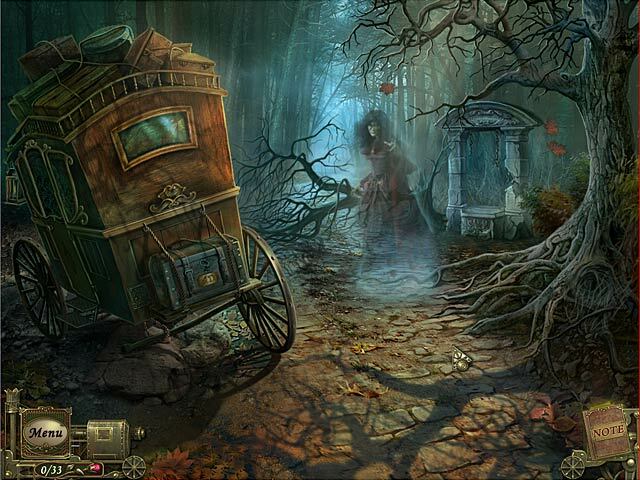 Everything had changed since:Return of Ravenhearst,Dire grove,Dracula Origin and a lot of nice games from the past This game has a very pleasant music, a sweet love story,a dark and creepy atmosphere and perfect puzzles( I skipped 2-3 as I wasvery impatient to move to the next scenes.You had to do a lot of different things,to think what to do,and where to go,Hos were very good and clever sometimes.So if you hadn't played that game buy it and you will enjoy. Rated 5 out of 5 by rjester from Awesome! I'll admit not as great as the rest, but stiil waaaaaaaaaaaaaaaaay better than what's out there. Still one of my favourite series! Rated 5 out of 5 by tuffgrandma1 from edgar allen poe I enjoyed the game because I like anything to do with Poe. I found the storyline interesting and objects were not too difficult to find. Rated 5 out of 5 by Takara_Soong from Love this series The Dark Tales series is my favourite hidden object series so far. I live the story, the graphics and the challenge level was great. The only thing I didn't like was the voice for Julien although I can't quite put my finger on why.